For a timeline of historical events in Haverhill click here. There is very little information on the beginnings of our town but in the immediate area there have been discoveries of artifacts from both the Stone and Bronze ages as well as many bits and pieces from Roman times. These finds lead us to believe that some sort of centre of habitation existed in these times. There was almost certainly a battle near Sturmer between the ninth Roman legion and the British forces of the Iceni and Trinovantes under Boudica. At this time the Stour was navigable up as far as Wixoe and the mere at Sturmer would have been considerably wetter and provided a source of fresh fish. Roman villas have been discovered in the area as well as a Roman cemetery close to the town. 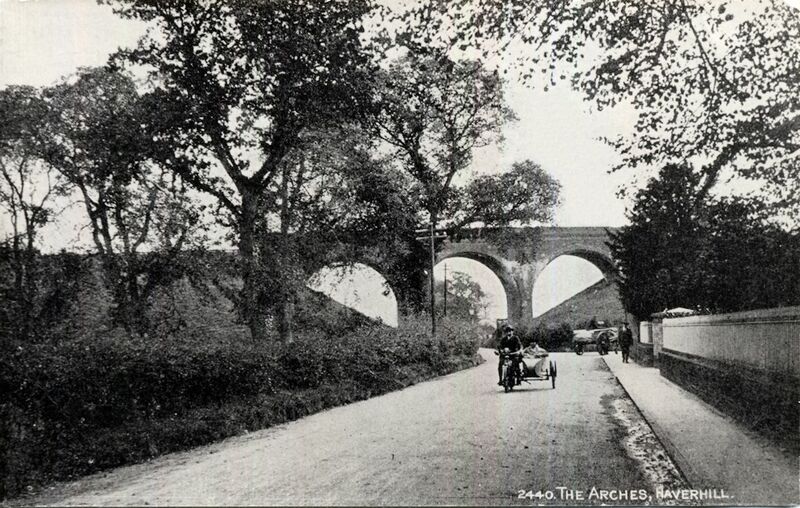 The main road from Chester passed through Cambridge and went on to reach Withersfield and is thought went on to Colchester. After the departure of the Romans in A.D.410, very little information survives about local life, it seems by A.D.991 Haverhill may not have been born apart from the farms and Sturmer may have been the leading power in the area as a division from Sturmer is said to have fought in the battle of Maldon. Haverhill is not mentioned until 1060 and graves in the cemetery at Burton End dated from no earlier than 1000. 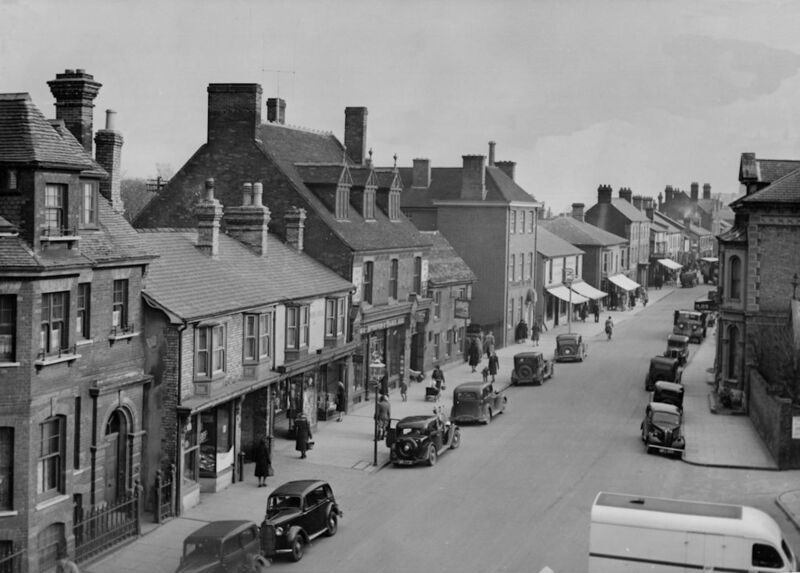 Following on from this, Haverhill becomes the focus of the area, having an established market by the time of the Domesday survey, one of only nine in Suffolk (not counting Bury and Ipswich who aren’t mentioned as having markets!). This survey tells us quite a lot as William was interested not only in the situation at 1085 but also what had happened before the Conquest. Haverhill features in four listings; the lands of St Edmund (the Abbey at Bury), the lands of the Bishop of Bayeux, those of Richard, son of Earl Gilbert and Tihell de Hellean (or Helion). The first two are insignificant as the Abbey had only five acres and the Bishop of Bayeux had entrusted his lands to Tihell. We have no idea where the property boundaries were but it is likely that the Gilberts had the Suffolk lands on the east side of the town while the others remained close to the Essex boundaries, after all one third of the town, the Hamlet, was part of Essex from A.D.930 to 1896. Other interesting aspects of the Domesday listings were about the people. In the Gilbert lands were a total of fifteen “free men” (landowners) and five “bordars” (cottagers), whereas in the Hellean lands there are “always ten slaves” (serfs). Tihell also owned one third of a market. A church is also mentioned, undoubtedly the one at Burton End as the Mediaeval town seems to have developed there next to the small stream running down from Camps. The church mentioned was dedicated to St Mary although it was mistakenly attributed to St Botolph in Victorian times, causing much confusion in the 1970s. The town began to develop beside the main road, first with stalls to sell produce to travellers, later houses were built behind the stalls. 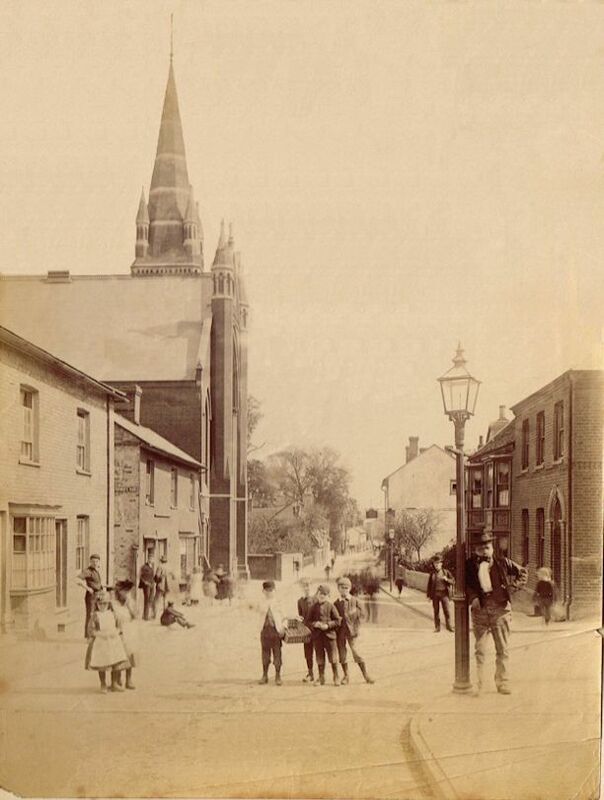 Eventually a Chapel was built near the centre, attached to St Marys at Burton End. In the 13th century the Chapel in the town became a church although it is believed that the tower was a separate structure. Another notable fact is that in 1247 a William de Haverhill became treasurer to the King (Henry III). 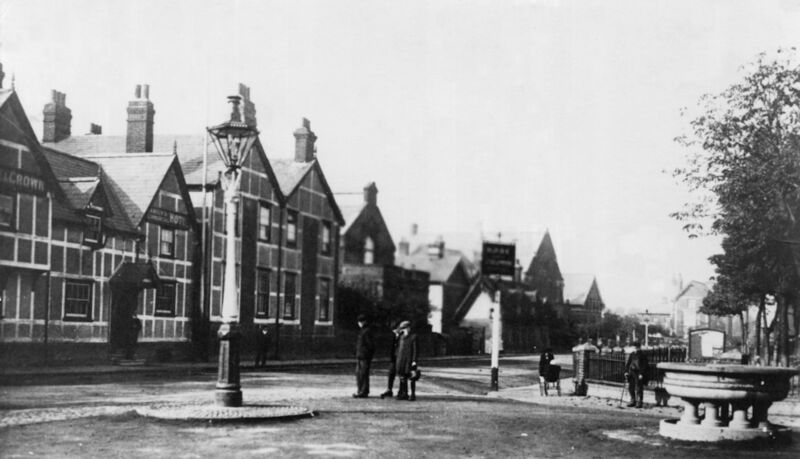 It is at this time that the centre of town was considered to be where it is now and the market moved with it. In 1392 both Churches were given to Castle Acre Priory until 1538 when the revenues were given to Thomas Cromwell, reverting back to the king in 1540. In 1551 the town petitioned the King to allow the original “Bovetown Church” to be abandoned as they couldn’t afford to maintain two churches. This was agreed to and soon it had vanished, leaving no sign of the church behind. During the later Middle Ages Haverhill prospered and was featured prominently on 14th and 16th century maps, much more so than neighbours like Linton, Clare and Sudbury. 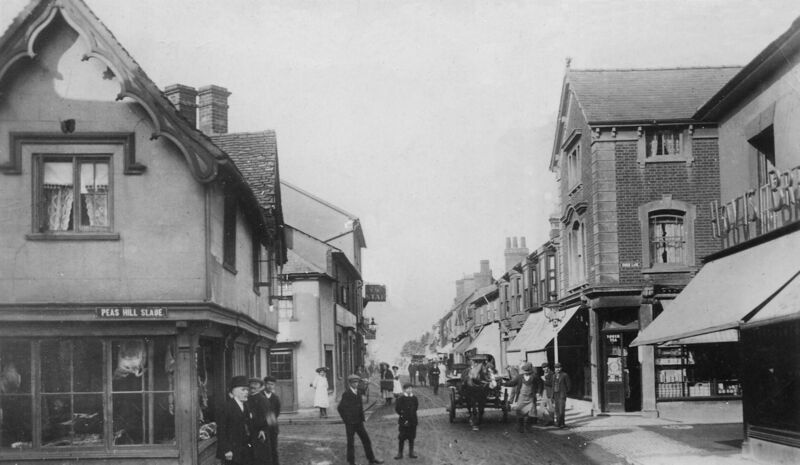 Records of the market 1413 to 1461 give evidence of a significant trading centre, with shops and stalls selling meat, fish, cloth, small goods, lace & etc and traders coming in from Hundon and Steeple Bumpstead. 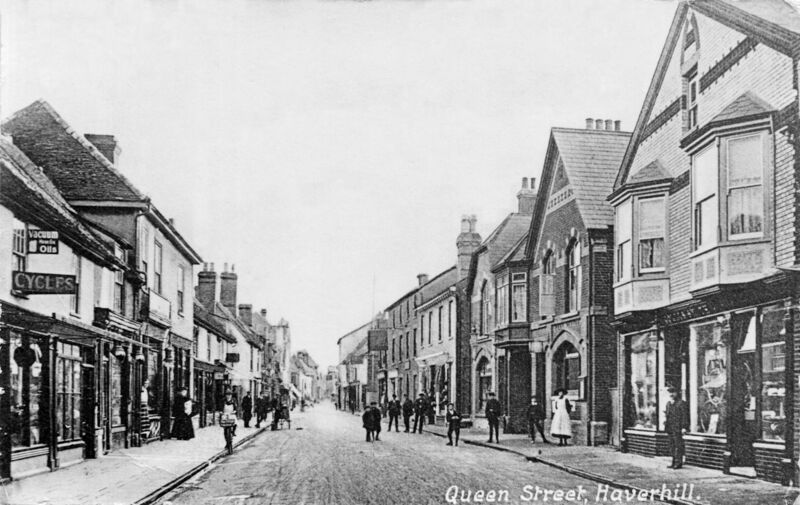 Haverhill was also a minor centre of the woollen industry and became a weaving town at this time. In the 16th century the town continued to flourish and obtained a royal connection on January 27th 1541 when the parsonage, lands and right to appoint clergy were granted to Henry VIII’s fourth and recently divorced wife, Anne of Cleves. This house would have been close to the church and the lands included part of the Downs. In 1568 there was a further royal connection when Queen Elizabeth passed through Haverhill on her way from Horseheath Hall to Kedington Hall. By 1620, Haverhill had become well known as a Puritan town, producing many leading Puritan preachers such as the Ward family (John and sons, Samuel, Nathaniel and John), the Faircloughs and the Scandarets. There were several emigrations to the New World, where Haverhill Massachusetts was founded in 1640. The Barnardiston Family of Kedington were leading officers in Cromwell’s army and the whole area supported Parliament in the Civil Wars. Then on June 14th 1667, “most of Haverhill” was destroyed in the “great fire” which started at the Swan public house, in Swan Lane, and spread across to the church and up the Street. 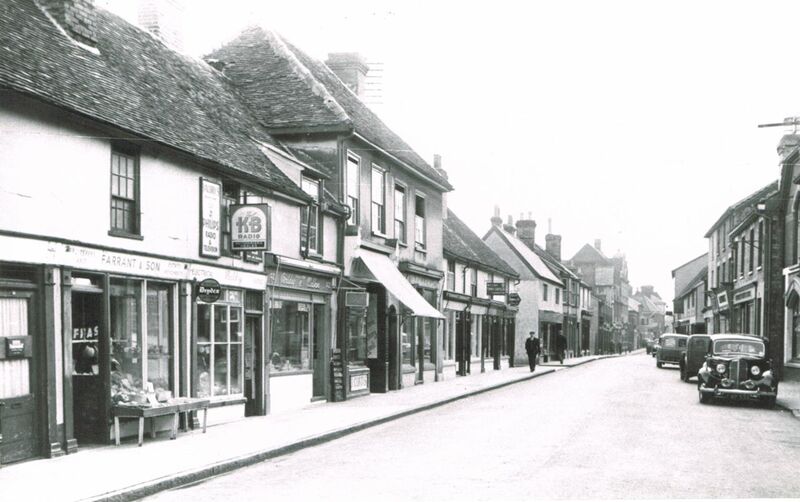 The Essex part of the town seems to have survived almost untouched but little of the centre remained. 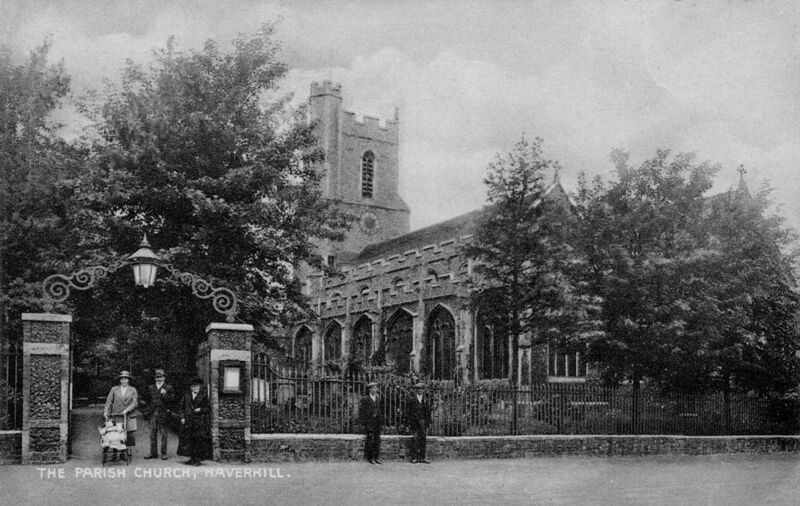 The Guildhalls and even the timber inside the church had burned so much so that services could not be held again until 1670. Obviously many records of the town from before the fire had been destroyed and we can now find few surviving records before 1730, but population figures suggest that many people moved away as there was a steep decline to less that 1000. 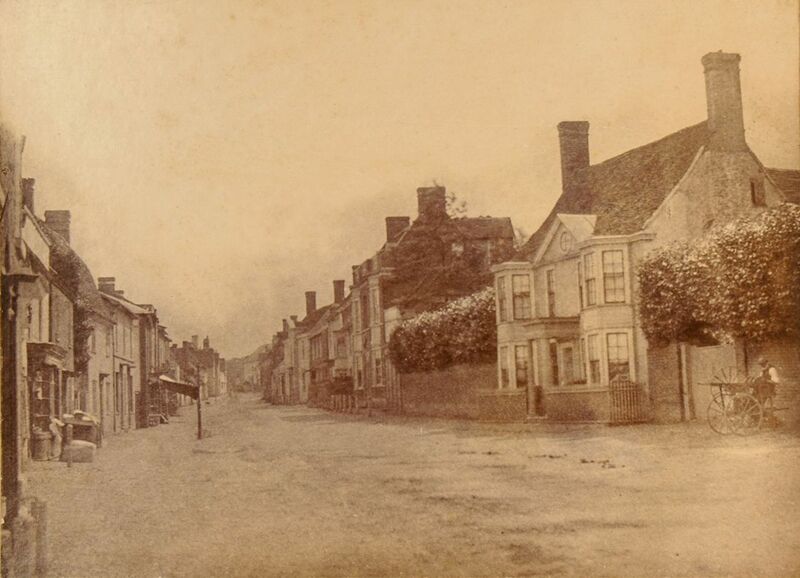 Diaries, Journals and poems from the Webb brothers, Barnabas and John, starting in 1790 present a picture of a rather beautiful small town, full of interesting characters and customs. The towns fortunes took a turn for the better from 1784 with the establishment of D. Gurteen & Son, with Haverhill Rope Works, and John Atterton’s Iron Foundry following later. 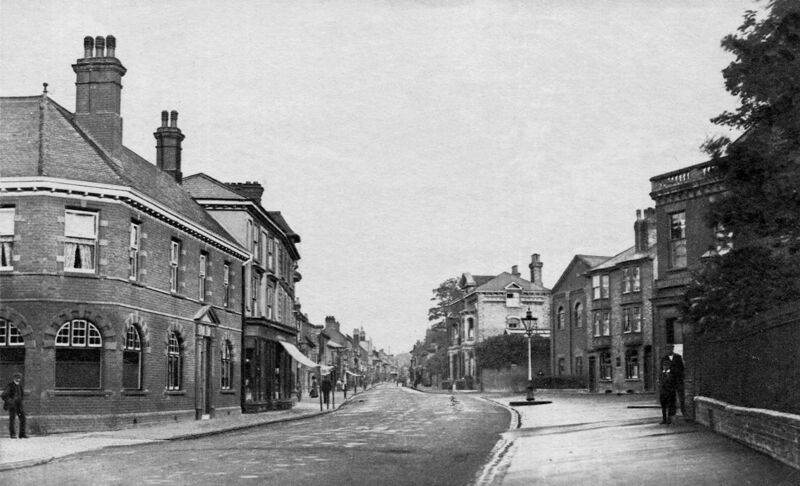 By the end of the nineteenth century, Haverhill had become almost a Midlands red-brick mill town, dominated by the Gurteen factory. 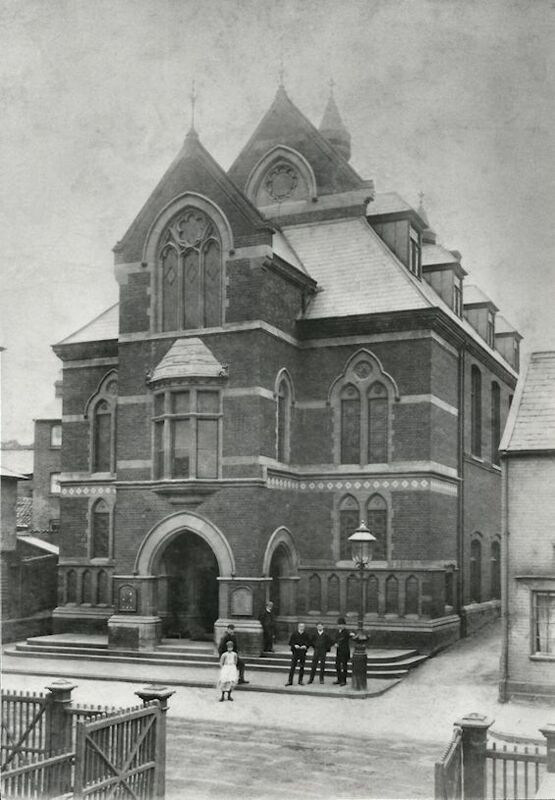 It had company housing, several non-conformist churches, a fine Town Hall (donated by the Gurteen family), two railway stations and a local newspaper. Local architecture of note included ‘Weavers Row’, a three storey block of houses which would originally have housed a silk loom on the middle floor, three, although it had been four, windmills, including the annular sailed Ruffle’s mill, two corn exchanges, a fine headquarters and shop, for the Haverhill Industrial Co-operative Company, and a fine Town Hall, and Old Independent Church. 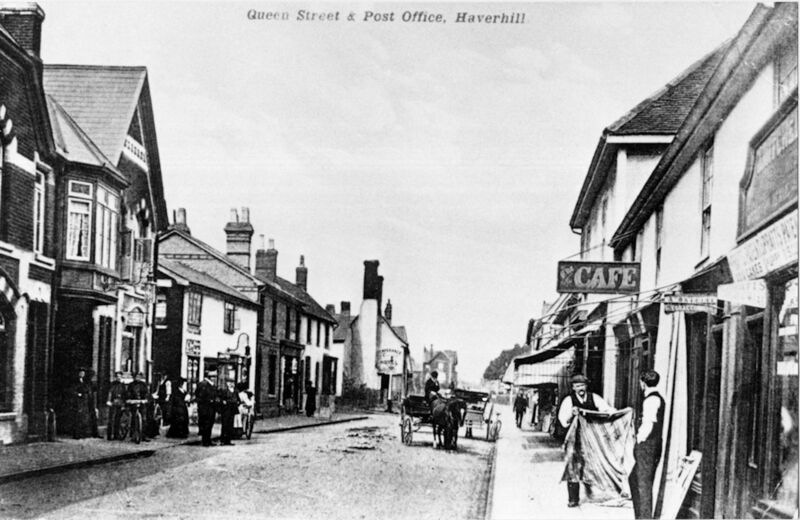 The population was around 4,800 in 1901 and Haverhill continued much as it had done in the previous century until the first world war. This resulted in 144 men not returning to the town and more women joining the workforce. As in the rest of the country, things slowed after the war although Haverhill seems to have come through the period fairly unscathed. Just as things were picking up, along came the second world war . After this there was a further decline and the Haverhill Urban District Council (formed in 1894) were worried as to the lack of both money and employment. Farms were becoming mechanised and so required fewer workers, Many women were now employed in the other industries, so fewer men were required for these as well. The Urban District Council decided to invite the London County Council to develop the town as an “overspill” community. In the 1950s the first housing estate, the Parkway, was built and in the following three decades two other estates, Clements and Chalkstone, followed. The industrial estates were also started at the end of the 1950s and a totally new image of the town was generated with Sir Frederick Gibberd’s Master Plan of 1971. Things were slowed down just after they were started by a period of austerity, the closure of the railways and a twenty year discussion on the Southern Bypass, which was finally completed in 1996. 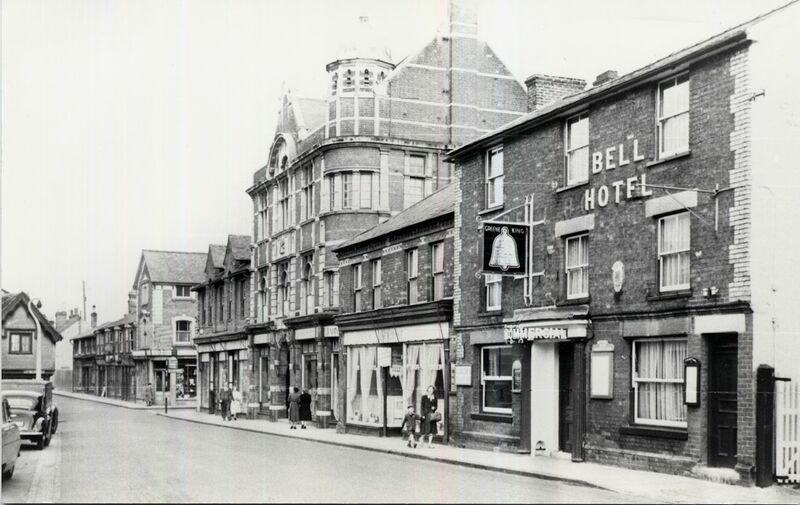 For further information please see the Haverhill & District Local History Group website here.